Providing high quality cancer care for all EUP patients, close to home, was always the goal for the new WMH Cancer Care Center. On January 4th, 2016 that became a reality when Dr. Belisario Arango and his dedicated staff saw their first patients at the new state of the art WMH Cancer Care Center. Now, under one roof, WMH provides comprehensive care including chemotherapy, lab work, infusion therapies and other procedures. The center will feature more treatment stations with the capacity to take care of patients, administer targeted treatments such as immune therapy, monoclonal antibodies and chemotherapy, with enhanced privacy in a welcoming and comfortable environment for patients and their families close to home. 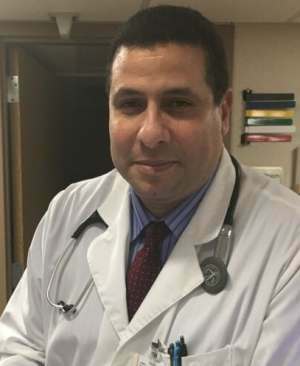 Beginning in June Dr. Maksoud will join our team at the WMH Cancer Care Center. Dr. Maksoud comes to War Memorial Hospital with a tremendous resume of education and experience along with certification from the American Board of Hematology, where he scored in the top 10% in the nation. The American Board of Oncology, where he scored in the top 30% in the nation, and The American Board of Internal Medicine, where he scored in the top 10% in the nation. 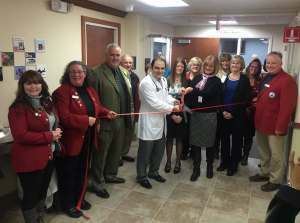 WMH will have Oncologists on site to provide care through April and May. 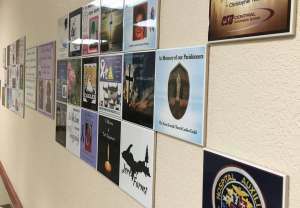 Visitors to the WMH Cancer Care Center will see the tile wall as they approach the main entrance. These tiles are a beautiful and personal way to support those who have won their battle against cancer, currently fighting cancer, or to remember those who are no longer with us. The purchase of these tiles also help and support the operations of our center. If you would like more information, or to purchase a tile, please and scroll down to "Expanded Infusion Therapy / Chemotherapy"